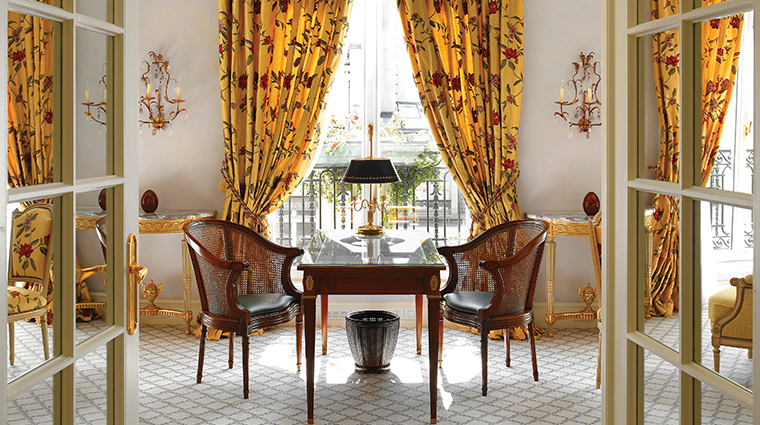 The storied Le Bristol Paris has a long and illustrious past. 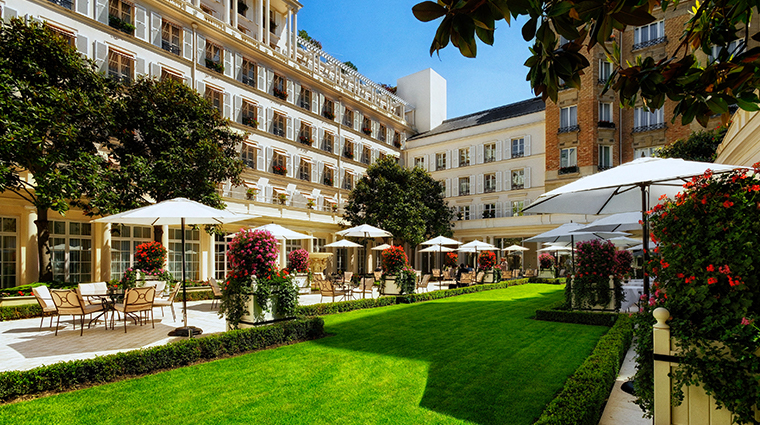 Situated in the heart of Paris’ fashion district on Rue Faubourg Saint-Honoré, Le Bristol became a dedicated hotel in 1925 and served as the American embassy during World War II. 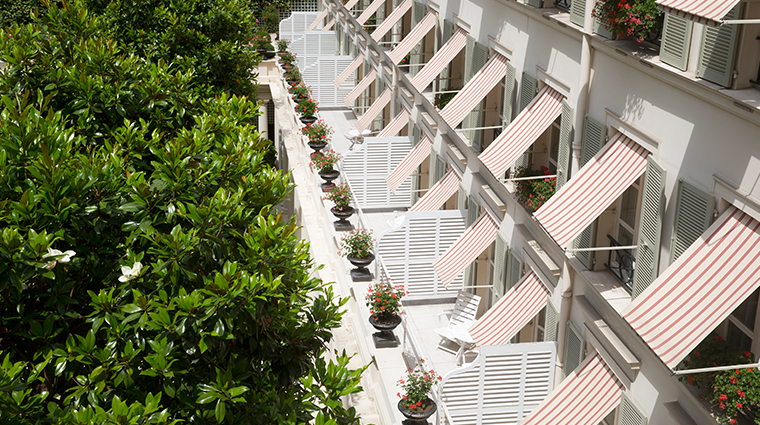 Since its opening, the Parisian hotel counts legends such as Charlie Chaplin, Rita Hayworth, Josephine Baker and Sophia Loren as its guests. 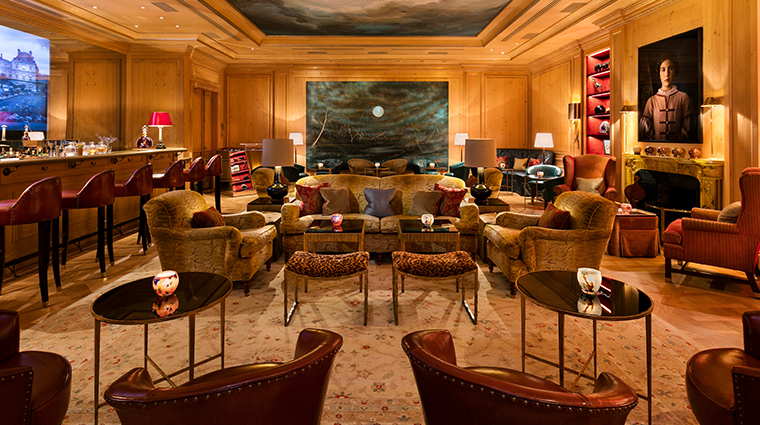 But Le Bristol also looks to the future: As part of a six-year renovation that wrapped up in 2014, it added a new restaurant, a decadent spa by La Prairie (which boasts an unusual Russian Room for Baniya-style treatments) and an additional 21 rooms and five suites, including the Panoramic Suite, which served as a backdrop for Woody Allen’s 2011 film, Midnight in Paris. 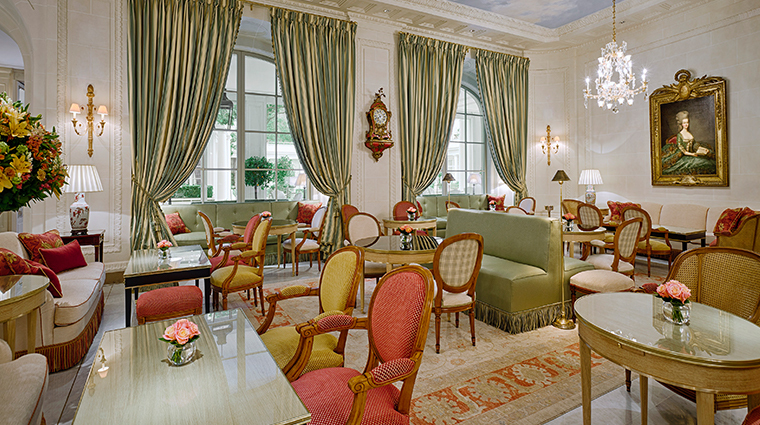 Situated on the right bank of the River Seine in the 8th arrondissement, Le Bristol is located in one of Paris’ most well-known districts thanks to the Arc de Triomphe, Grand Palais and Champs-Élysées. 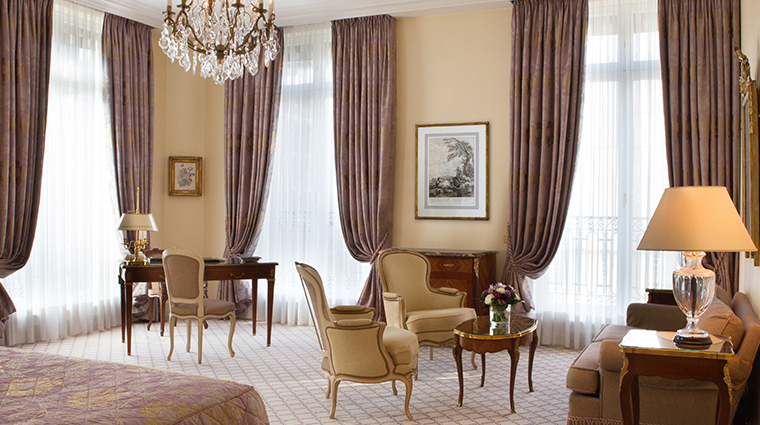 Each room is spacious, especially by Parisian standards. 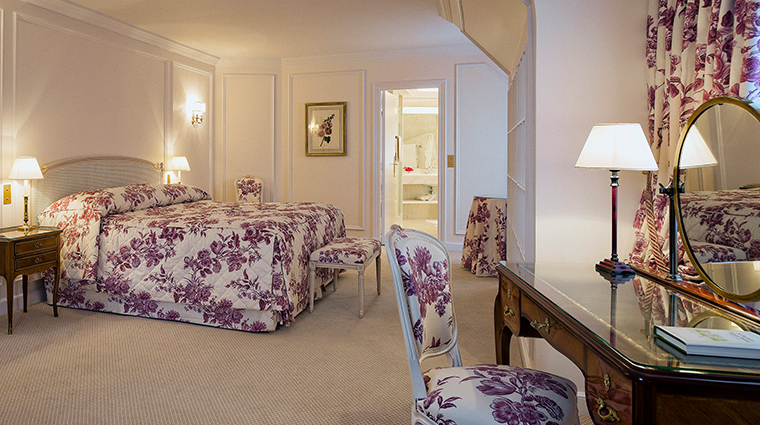 At 325 square feet, even the lowest category Superior Room offers plenty of space. Le Bristol also has some very esteemed neighbors. Élysée Palace, the French president’s official residence; the Embassy of the United Kingdom; as well as the residences of both the Canadian and American ambassadors to France, all are found along Rue Faubourg Saint-Honoré. 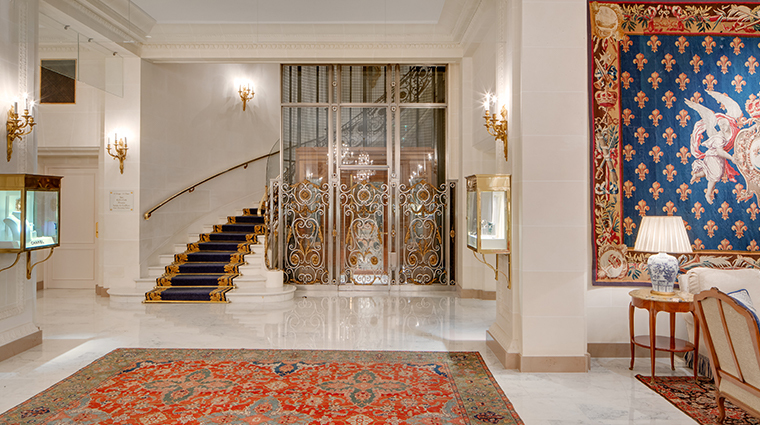 You can score museum tickets through the hotel’s accommodating concierge team. 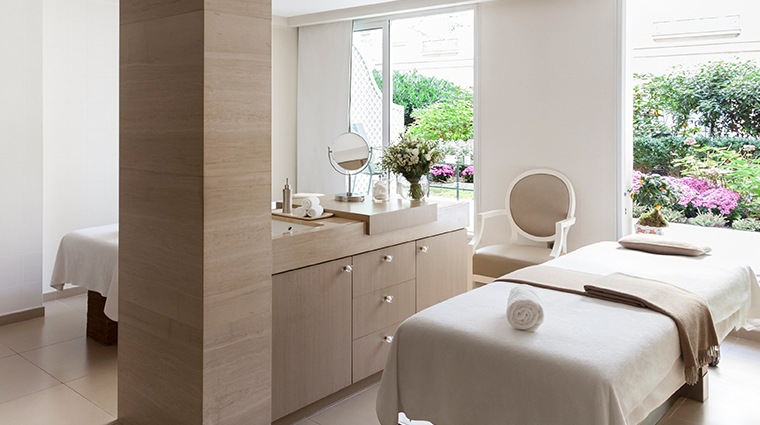 Spa Le Bristol by La Prairie is open daily from 9 a.m. to 9 p.m. 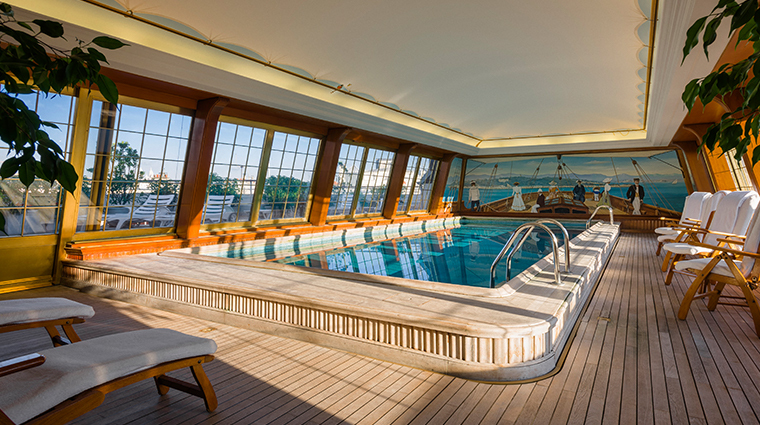 Guests have exclusive access to the 6th floor swimming pool from 6:30 a.m. to 10:30 p.m. 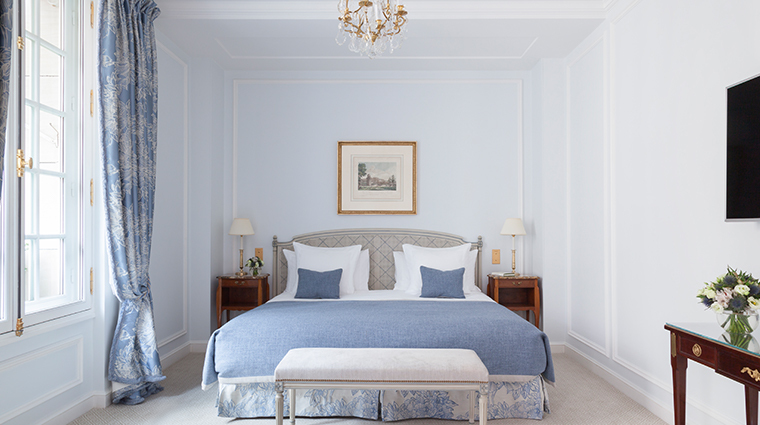 Le Bristol’s extensively refurbished 188 rooms and suites are classically French with Louis XV- or Louis XVI-style furniture. 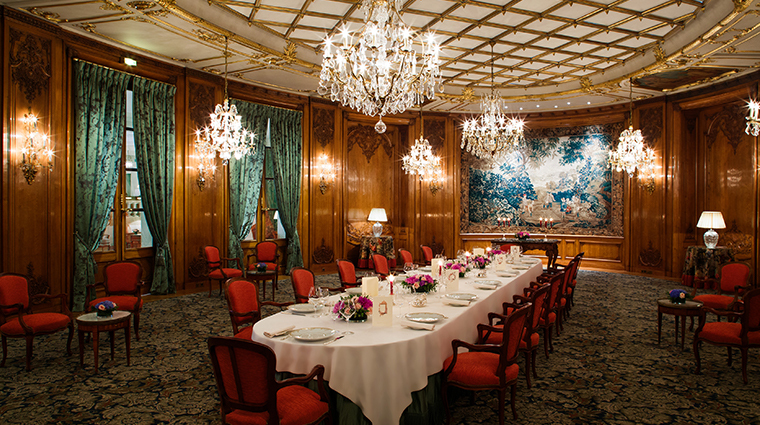 All of the mirrors, prints and paintings seen throughout are originals, which contribute to the home-like atmosphere of the luxury hotel. 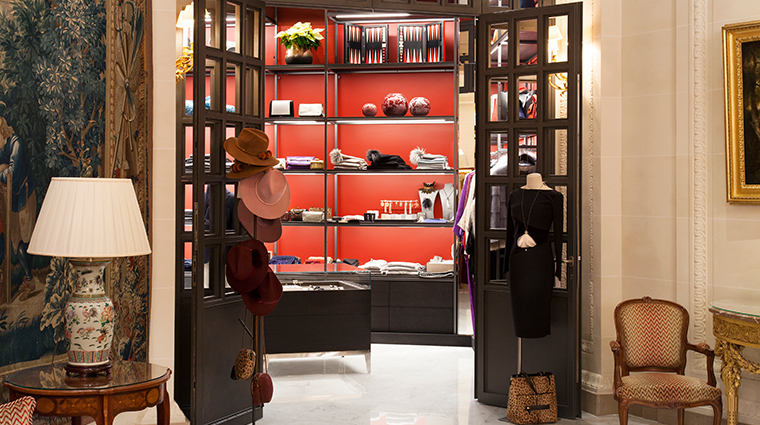 The colorful fabrics created by luxury brands such as Manuel Canovas, Pierre Frey, Rubelli, Nobilis and Bernard Thorp punctuate the neutral-colored walls and carpets. 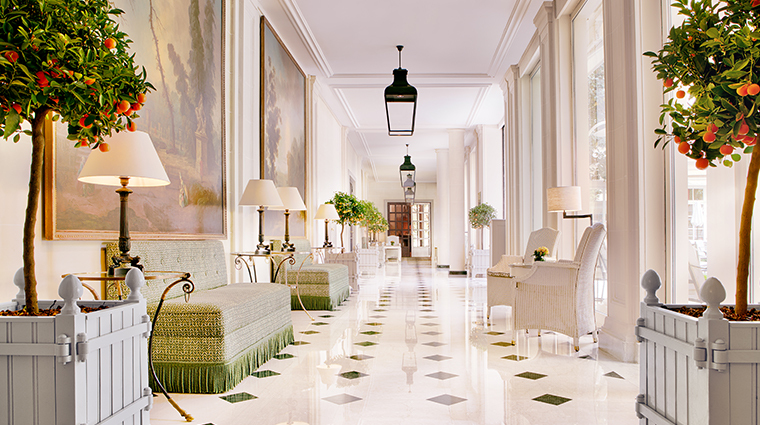 Large windows not only provide views of the courtyard — the largest palace garden in Paris — or the famed Rue du Faubourg Saint-Honoré, but also allow a maximum amount of sunlight, giving each room a bright and open feeling. Classic, white-marble bathrooms feature a separate tub and shower, double sinks and Hermès toiletries. 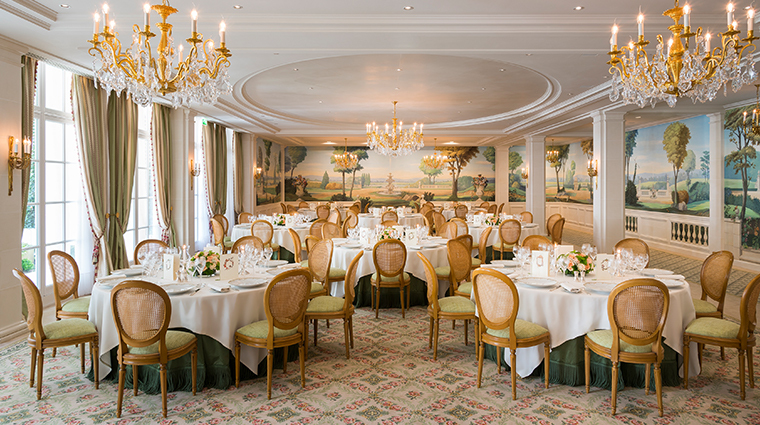 The jewel in the crown of Le Bristol’s restaurants is Epicure, a gastronomic delight from chef Eric Frechon. 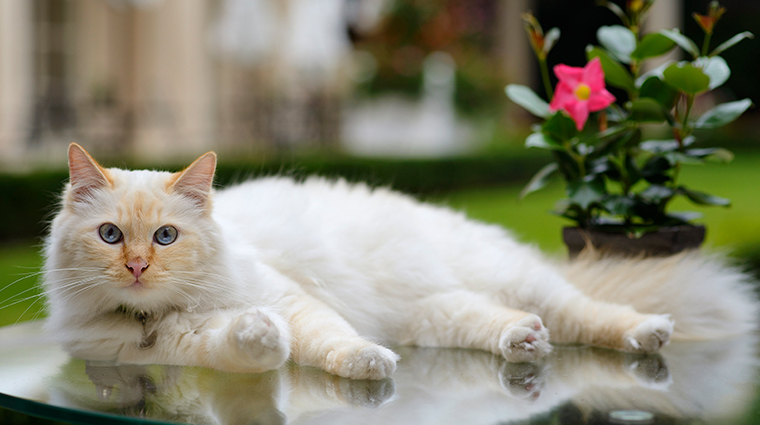 Open for breakfast, lunch and dinner, fine-dining Epicure exudes a comfortable elegance with bay windows that open up to the lovely French-style garden. 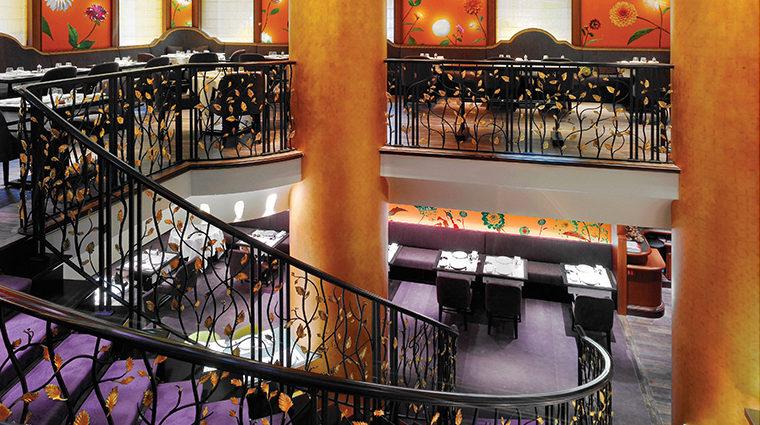 Under the tutelage of Frechon, chef Eric Desbordes has led 114 Faubourg to become a popular local destination. This two-story dahlia-filled brasserie offers a fun and inviting atmosphere combined with contemporary French food that you can watch being made in the first-floor open kitchen. 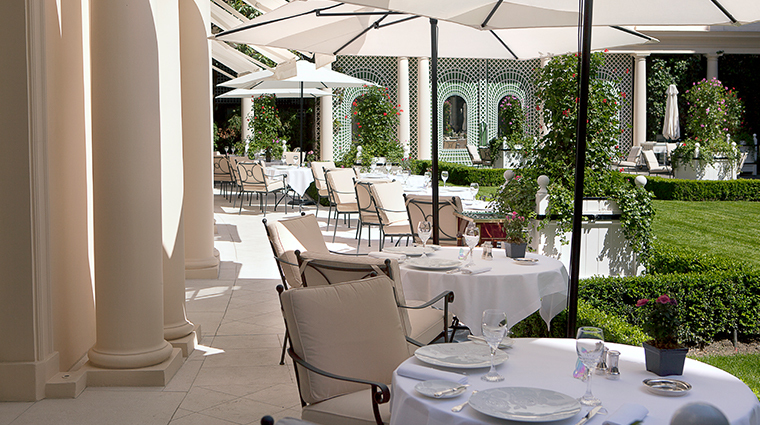 Le Jardin Français is a more casual alternative to the other restaurants in the Paris hotel. 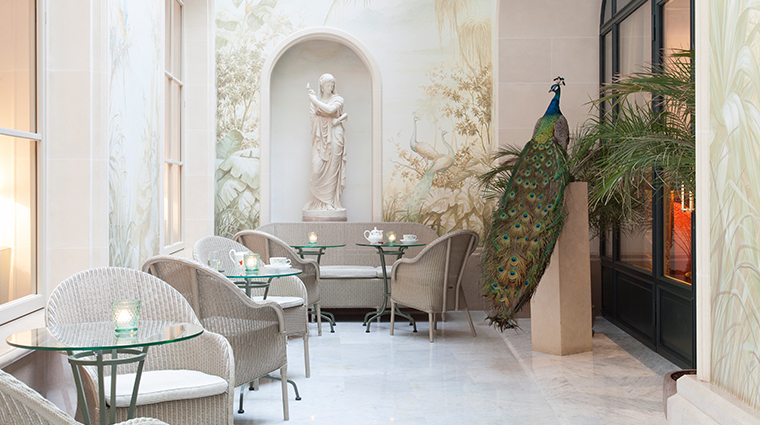 A variety of starters, entrées, drinks and even a traditional-style English tea can be enjoyed in the lobby or on the garden terrace. Mingle with a stylish crowd at Le Bar du Bristol Thursday through Saturday evenings, when a DJ spins in the glamorous hot spot. Head barman and previous winner of Meilleur Ouvrier de France’s Best French Craftsman award Maxime Hoerth has crafted an exceptional selection of wines and original cocktails to go alongside tapas created by chef Frechon.